Below you can view all the homes for sale in the Georgetown Park subdivision located in Norcross Georgia. 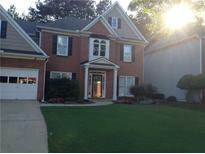 Listings in Georgetown Park are updated daily from data we receive from the Atlanta multiple listing service. To learn more about any of these homes or to receive custom notifications when a new property is listed for sale in Georgetown Park, give us a call at 404-998-4113. A Lot Of Houses For The Money In The Area! 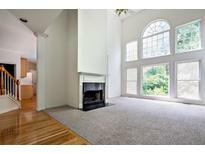 MLS#6539327. Realty Professionals, Inc..
Close To Major Highways, Shopping/Grocery, & Stem High School. MLS#6534827. Keller Williams Rlty Consultants. Stunning Fenced Outdoor Living Space W/Greenhouse, Stone Patio, Synthetic Turf, Built-In Hot Tub. MLS#6523582. Keller Williams Realty Atl Perimeter. This Home Has Lots Of Bells And Whistles: Hardwood Floors On Both Floors, Open Floor Plan, Security System, Video Surveillance System, Whole House Speaker System, Central Vacuum, Brand New Roof, Newer Ac, Master Bath Has Separate Hvac, Fenced In Backyard With Iron Gates. MLS#6509707. Keller Williams Rlty-Ptree Rd.